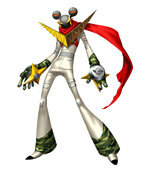 With Persona 4 Golden, Atlus has taken its PS2 classic namesake and ratched things up a notch. 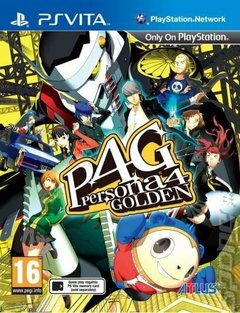 Integrating good old investigative mission gameplay with an innovative social element, the game is set in the rural town of Inaba in the Japanese countryside. Your character is there as a guest in the house of his uncle and cousin, as a series of mysterious deaths hits Inaba, leaving the quiet, small town in shock. Only you and your team of gifted supernatural detectives replete with their hidden powers can reveal the truth. Together, you must try to find the attacker (or attackers) before they kill again. 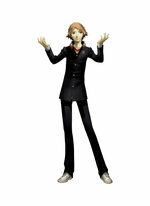 The structure of Persona 4 dictates that your character must live a double life and remember to keep a sense of balance. On the surface, you're a regular student at a regular high school, taking classes, making friends, and you even have a part-time job to make ends meet. On the other hand, you're a bit of a dungeon-crawler with a mystery to solve. The everyday nature of modern life impinges on everything you do, however, and every decision you make, from choosing which dungeon to enter, who you talk to, and who you choose to hang around with. Strong bonds with your fellow 'detectives' are essential to conquering Persona 4's 60+ hours of gameplay. You can lead team mates in combat and master social links to make you all stronger in the face of the enemy. This new version has been remastered for the Vita, with refreshed visuals, 1.5 times the amount of voiced dialogue and a new online dungeon rescue feature. 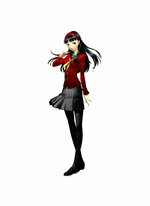 There's also tons of new conent including Personas, new story events, a new character and new anime cutscenes. It stacks up to hours of new content, which is plenty of reason for fans both old and new to give it a shot.